As founder of Tecmark and supporter of the entrepreneurial community, I wanted to share a few thoughts about an organization that I belong to and how important it can be for leaders and founders of businesses. Throughout my career, specifically since starting my first company in the early 90s, I have participated in peer-to-peer organizations that help individuals build their skills to lead. 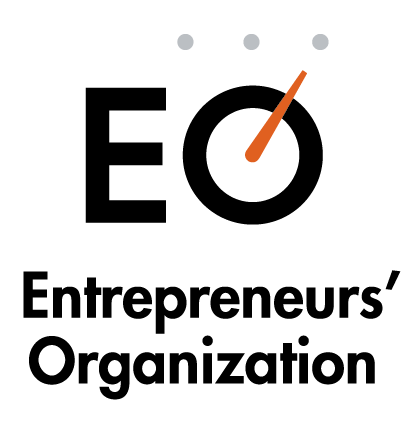 About two years ago, I was introduced to EO (Entrepreneurs’ Organization). It is an international group that helps entrepreneurs from around the world develop and improve their skills in building and leading their companies. EO has about 150 chapters in 50 countries, truly a global organization. You can learn more about EO on their website. Forbes magazine honored EO as the premier peer to peer entrepreneurial organization in the world in this article. The core of EO is the forum that I belong to. The eight of us meet monthly; sharing and learning from each other to address issues and build our skills as leaders of our companies. Our chapter has ongoing learning events to drill deep on key issues and challenges that confront each of our companies. For many of these events, we can also invite key employees. And then there is the fun side. We get the chance to build relationships with other members of the chapter, as well as nationally and globally, by participating in a wealth of conferences and events. This includes what we call OIL events (once in a lifetime) to do truly unique events and meet inspirational leaders and entrepreneurs. In fact, we have our regional THRIVE event in downtown Minneapolis this October. Plus, I’ve taken away some very valuable tools to help run our company. A great example is “Traction or EOS (entrepreneurial operating system)”. It’s an incredible management system to run a company! It’s making a huge difference for Tecmark, as well as many other companies across the country. So, the message from all of this is to connect and learn from others or organizations that can help you run your company more effectively. There are so many tools and ideas that you will only learn about by connecting and learning. Best of luck as you continue to grow your business!! To learn more about EO and how we have applied it to our business, click here.